Latin America’s largest country has managed vastly to enlarge the share of its citizens who can take part in politics and need no longer live in poverty, and has robust horizontal accountability to boot. Vertical accountability, however, has suffered. 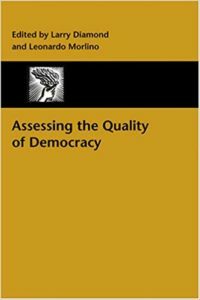 Books in Review: What Makes Democracies Collapse? A review of Ordinary People in Extraordinary Times: The Citizenry and the Breakdown of Democracy by Nancy Bermeo.